Plaintiff uBID, Inc. is a Chicago-based company that auctions the excess inventory of manufacturers and retailers over the Internet. It brought suit in Illinois against The GoDaddy Group, Inc., which operates the well-known domain name registration site GoDaddy.com. In its complaint, uBID alleged that GoDaddy violated the Anti-Cybersquatting Consumer Protection Act, 15 U.S.C. § 1125(d), by intentionally registering domain names that are confusingly similar to uBID’s trademarks and domain names for the purpose of profiting from uBID’s marks and exploiting web surfers’ confusion by selling advertising for those confusingly similar websites. The district court dismissed the case for lack of personal jurisdiction, holding that GoDaddy, which is headquartered in Arizona, lacked sufficient contacts with Illinois to be sued there. See uBID, Inc. v. GoDaddy Group, Inc., 673 F. Supp. 2d 621 (N.D. Ill. 2009). We reverse. We conclude that due process is not violated when a defendant is called to account for the alleged consequences of its deliberate exploitation of the market in the forum state. GoDaddy has thoroughly, deliberately, and successfully exploited the Illinois market. Its attempt to portray itself either as a local Arizona outfit or as a mindless collection of servers is unconvincing. This is a company that, like the national magazine in Keeton, has conducted extensive national advertising and made significant national sales. GoDaddy has aired many television advertisements on national networks, including six straight years of Super Bowl ads. It has engaged in extensive venue advertising and celebrity and sports sponsorships. All of this marketing has successfully reached Illinois consumers, who have flocked to GoDaddy by the hundreds of thousands and have sent many millions of dollars to the company each year. These contacts establish GoDaddy’s minimum contacts with the state for claims sufficiently related to those contacts. GoDaddy seeks to distance itself from Illinois by casting the Illinois market as simply one among many, a place of no particular interest to it. Although its ads can be seen on Illinois television sets and computer screens and at Illinois sports venues, GoDaddy contends that these are only parts of a national advertising campaign and that it does not target its advertising toward Illinois residents in particular. Likewise, GoDaddy argues that its sales in Illinois are merely “the unilateral activity of Illinois residents” entered into “at the initiative of the customers,” and processed automatically by GoDaddy’s servers in Arizona. These characterizations of GoDaddy’s contacts with Illinois are inaccurate. I agree with the court that personal jurisdiction in Illinois is proper. I write separately because under the facts of this case, I would apply a more limited formula for connecting GoDaddy’s contacts in Illinois with uBID’s claim. In my view, personal jurisdiction in Illinois is proper for the simple reason that uBID is headquartered in Illinois, and that is where GoDaddy has directed, and uBID will be affected by, the harm at issue....The court’s formula for connecting GoDaddy’s contacts in Illinois with uBID’s claim is, in my view, unnecessarily broad. Earlier this year, the Florida Supreme Court released an opinion relating to personal jurisdiction over a person who made posts on a website. That case was discussed at the following post: "Posting Statements On A Website Subjects A Person To Suit Under Florida's Long Arm Statute." Like many, Beverly Stayart was curious about what she would find when she put her name into a search engine. In this case it was Yahoo. To her dismay, the comprehensive search results eventually contained links to websites and advertisements that she found shameful. She then sued Yahoo and the other defendants alleging trademark infringement and a host of state law claims. The district court dismissed her complaint, finding she lacked standing under the Lanham Act to sue for trademark infringement. She appeals, and because we agree that Stayart lacks standing under the Lanham Act, we affirm. In Buckley Towers Condominium, Inc. v. QBE Insurance Corporation (No. 09-13247), the Eleventh Circuit reversed the portions of the district court's 20 million dollar judgment relating to replacement cost coverage and ordinance and law and affirmed the actual cash value portions of the judgment. Buckley submitted its first Sworn Proof of Loss in April 2006. When QBE rejected the first claim due to various errors, Buckley Towers in June 2006 submitted a second Sworn Proof of Loss, consisting of a form that contained information applicable to both RCV damages and ACV damages. Buckley Towers designated the 'Full Cost of Repair or Replacement' as $5,187,388.03, the 'Applicable Depreciation' as $12,503.43, and the 'Actual Cash Value Loss' as $5,174,885.50. Buckley Towers designated the 'Net Amount Claimed' as $4,238,708.50. QBE never paid the claim, nor fully rejected it, construing it to be a demand for RCV damages and, therefore, not due until repairs were complete. After determining that QBE was unlikely to pay its claim, Buckley Towers sued QBE in the United States District Court for the Southern District of Florida, invoking its diversity jurisdiction and seeking ACV damages, RCV damages, law and ordinance damages, and a declaratory judgment. Buckley Towers conceded that it had not completed repairs before requesting damages and that repair was required under the contract before claiming RCV damages. Nevertheless, the trial court instructed the jury that QBE may be obliged to pay RCV damages if it found that QBE had prevented Buckley Towers’ performance under the RCV provision of the contract by denying ACV damages. After trial, the jury found that Buckley Towers had submitted a request for ACV damages and awarded the building $11,395,665 in ACV damages. Pursuant to the trial court’s prevention of performance instruction, the jury also awarded Buckley Towers $18,708,608 for RCV damages. The jury also awarded Buckley Towers $803,500,000 in law and ordinance damages per building. In the first place, the insurance contract unambiguously requires the insured to repair its property before receiving RCV damages. The insurance contract specifically provides that QBE “will not pay on a replacement cost basis for any loss or damage (1) Until the lost or damaged property is actually repaired or replaced; and (2) Unless the repairs or replacement are made as soon as reasonably possible after the loss or damage.”....Both parties agree, and the record undeniably establishes, that Buckley Towers never completed repairs and, thus, would be barred from recovering RCV damages under the plain terms of the contract. Applying the doctrine of prevention of performance in this case would impermissibly rewrite the insurance contract on the equitable theory that it would be too costly for Buckley Towers to comply with the terms of the agreement. Under Florida’s binding law, however, courts are not free to rewrite the terms of an insurance contract and where a policy provision “is clear and unambiguous, it should be enforced according to its terms.”....Nor is it a defense to say that it would be costly for Buckley Towers to comply with the insurance contract as written. “Inconvenience or the cost of compliance [with contractual terms], though they might make compliance a hardship, cannot excuse a party from the performance of an absolute and unqualified undertaking to do a thing that is possible and lawful.”...Although Buckley Towers may be unable to receive the full range of benefits of their contract without an advance payment under Florida law, that cost and inconvenience may not relieve them of repairing the building prior to claiming RCV damages.....Indeed, the Florida courts have upheld similar contracts that expressly require repair before claiming RCV damages....Ceballo v. Citizens Prop. Ins. Corp., 967 So. 2d 811, 815 (Fla. 2007)...State Farm Fire and Cas. Co. v. Patrick, 647 So. 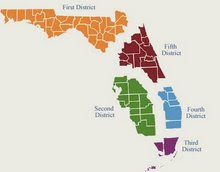 2d 983, 983 (Fla. Dist. Ct. App. 1994)...Citizens Prop. Ins. Corp. v. Hamilton, -- So. 3d --, No. 1D09-4128, 2010 WL 2671808, *8 (Fla. Dist. Ct. App. July 7, 2010). Having held that the doctrine of prevention of performance cannot excuse Buckley Towers from its obligation to repair to obtain RCV damages, it follows that Buckley Towers’ award of law and ordinance damages must also be reversed. Under the terms of the insurance contract, Buckley Towers is not entitled to law and ordinance damages unless “such damage results in enforcement of the ordinance or law.”...However, under Florida law and under the terms of the contract, Buckley Towers is not entitled to law and ordinance damages because it never repaired the property and never actually incurred increased damages due to the enforcement of laws or ordinances. Under Florida law, “for the purpose of assessing prejudgment interest, a claim becomes liquidated and susceptible of prejudgment interest when a verdict has the effect of fixing damages as of a prior date.”...Not surprisingly, Florida law holds that prejudgment interest is governed by the terms of the insurance contract....This insurance contract provides that damages are only due [under two conditions]....Because neither of those conditions were satisfied until final judgment, Buckley Towers is not entitled to prejudgment interest under Florida law. The court affirmed the district court's decision with regard to the application of actual cash value damages and the district court's decision relating to juror misconduct. In Strax Rejuvenation And Aesthetics Institute, Inc. (SC10-57), the Florida Supreme Court "quashed the decision in Strax Rejuvenation And Aesthetics Institute, Inc. v. Shield, 24 So. 3d 666 (Fla. 4th DCA 2009), and approveed the decision in Weintraub v. Alter, 482 So. 2d 454 (Fla. 3d DCA 1986)." This issue, and Strax, was previously discussed on this blog at the following links: Clerk's Date Stamp Is Dispositive Of Filing Date Regardless Of Contrary Evidence and Does The Stamp On The Notice Of Appeal Control Appellate Jurisdiction? Strax filed its notice of nonfinal appeal from the trial court's order denying a motion to dismiss and to compel arbitration. Because the clerk‟s time stamp indicated that the notice of appeal was filed August 21, 2009, which was one day late, the Fourth District issued an order to Strax to show cause why the appeal should not be dismissed. Strax responded to the show cause order and filed two affidavits, one from Strax's counsel and one from the owner of the courier service that delivered the notice to the courthouse for filing with the clerk of the circuit court. In the affidavit, Strax's counsel attests that on August 18, 2009, she placed the notice of appeal in her firm's “Broward County” filing box to be picked up by a courier service and filed in the Broward County courthouse on August 19, 2009. The owner of the courier service states in his affidavit that he picked up the notice of appeal from the law firm on August 19, 2009, and delivered it to the Broward County Clerk of Courts on that same day. For many years the accepted view has been that filing is accomplished by simply placing the document in the hands of the proper officer. In 1941, we held that the filing of a pleading consists of simply placing it in the hands of the proper officer to be filed, and that the file marking is merely evidence of filing but is not essential to the validity of the document. We conclude that the intent of rule 1.080(e), as amended in 1984, is to create a rebuttable presumption that the filing date is the date shown by the clerk's time stamp placed on the face of the document. Any other interpretation flies in the face of the stated intent for construction of the procedural rules. While a bright-line rule that the clerk's stamp is dispositive of the filing date will certainly secure a speedy and inexpensive determination of the action, it will not necessarily secure a just determination. Accordingly, we hold that Strax should be given an opportunity to prove that the notice of appeal was actually received by the clerk of the circuit court within the jurisdictional time frame applicable in this case. Strax has not ultimately prevailed as the Court remanded the case to the "Fourth District Court of Appeal with directions that the district court remand the matter for an evidentiary hearing to determine if the notice of appeal was timely filed, consistent with the holdings set forth above. At the evidentiary hearing, Strax must overcome the presumption that the clerk's time stamp accurately indicates the date of filing by submission of competent, substantial evidence that the notice of appeal was actually received in the clerk's office within the filing deadline." Should Strax overcome the burden and establish the notice of appeal was timely filed, it will then be required to prosecute the actual merits of its appeal. By our decision today, we do not suggest that practitioners should be unconcerned about a clerk‟s time stamp that indicates late filing of a document—especially when that document is a notice of appeal. The occasions when counsel should be required to rebut the presumption of late filing by submission of evidence should be extremely rare. Counsel are thus encouraged to continue to be vigilant in assuring that their documents are both timely received in the clerk's office and, to the extent practicable, timely stamped to protect the rights of their clients. The should also resolve the conflict certified in Ocr-EDS, Inc. v. S & S Enterprises, Inc., - So. 3d -, 2010 WL 838164 (Fla. 5th DCA Mar. 12, 2010) and Soledispa v. La Salle Bank National Association (4D10-998). In Bates v. The Betty & Ross Co. (3D09-2071), the Third District reversed an order terminating an arbitration. After the complaint was filed, the parties voluntarily entered into an arbitration agreement which required them to submit to arbitration “with respect to the allegations in the complaint.” The trial court then ordered the case to arbitration. Once the matter was in arbitration, Bates filed an Amended Claim alleging wrongful conduct on the part of Alec Ross, individually, and against the corporation for bad faith in providing incorrect payoff information for refinancing with regard to the loans. The civil theft allegations were dropped. The Betty & Ross Co. and Alec Ross moved the Arbitration Panel to terminate arbitration, arguing that Bates had breached the arbitration agreement by substituting a different set of allegations not encompassed by the original arbitration agreement that, they contend, are not subject to arbitration. The Arbitration Panel found a nexus between the new claims and those contained within the arbitration agreement and denied the motion to terminate arbitration without prejudice. Unhappy with the Arbitration Panel’s decision, Alec Ross then moved in the Monroe County Circuit Court to terminate arbitration basically on the same grounds as previously argued before the Arbitration Panel. The trial judge granted the motion to terminate arbitration. We construe the facts stated in the Amended Claim as having been alleged “with respect to” those allegations in the original complaint. The Amended Claim therefore comes within the scope and meaning of the arbitration clause. The parties in this case were collaterally estopped from bringing the issue of whether termination was appropriate before the circuit court by first raising the issue before the Arbitration Panel and receiving a ruling from the panel. The essential elements of collateral estoppel, that the parties and issues are identical and that the particular matter was fully litigated and determined resulting in a final decision of a court of competent jurisdiction, are present here. See Dep’t of Health & Rehab. Servs. v. B.J.M., 656 So. 2d 906, 910 (Fla. 1995). Therefore, the determination made in the arbitration proceeding by the Arbitration Panel to deny the motion to terminate arbitration bars the trial court from hearing the motion to terminate arbitration under the doctrine of collateral estoppel. Dadeland Depot, Inc., v. St. Paul Fire & Marine Ins. Co., 945 So. 2d at 1216. The newspaper sent a public records request to the Broward Sheriff’s Office (BSO), asking for recordings of all the defendants’ phone conversations since their arrests, with the exception of calls made to their attorneys....Citing the definition of a public record in section 119.011(12), Florida Statutes, the court concluded that although BSO is not required to record the phone calls, it does so for legitimate security reasons and doing so makes the recordings a public record. The court concluded an exemption to the records request may apply if recordings include any confessions. Here, the phone calls themselves are clearly not public records. The issue before us is whether BSO’s recording of the calls converts them to public records. Although monitoring of inmate calls for security purposes is related to official business of the jail, maintaining recordings of purely personal calls is not. The recordings at issue are personal phone calls, as opposed to records generated by BSO, such as mail logs or logs of phone numbers called....Unless the contents of the call involve a crime or security risk, “perpetuating” or maintaining these sound recordings has no connection to any official business of BSO. The Florida Bar polled its members about whether the Supreme Court justices and appeals court judges who will be on the November General Election ballot should be retained. The poll results, biographies of the judges and frequently asked questions about merit retention are now available. Order Accepting Jurisdiction; Brief on Jurisdiction; Answer Brief on Jurisdiction; and Fourth District's Opinion. Order Accepting Jurisdiction; All filings can be viewed HERE. Order Accepting Jurisdiction; Inital Brief on the merits; Answer Brief; Reply Brief. Order Accepting Jurisdiction; Initial Brief on the merits; Answer Brief; Reply Brief. Order Accepting Jurisdiction; Initial Brief on the merits; Answer Brief (North Florida); Answer Brief (St. Vincents). Order Accepting Jurisdiction; Initial Brief on the merits; Answer Brief (North Florida); Answer Brief (St. Vincent); Reply Brief. The Florida Supreme Court's tentative October oral argument calendar can be viewed at THIS link. Sanchez defaulted under the terms of his mortgage, and LaSalle filed suit for mortgage foreclosure. In response, Sanchez filed an answer and affirmative defenses. Among other things, Sanchez alleged that LaSalle did not comply with the federal Truth-in-Lending Act (“TILA”), 15 U.S.C. § 1601 et seq. Thereafter, LaSalle responded to the affirmative defenses, and moved for summary judgment. Shortly before the hearing on the motion for summary judgment, Sanchez moved to add additional affirmative defenses. The trial court granted Sanchez’ motion, but then sua sponte struck all of Sanchez’ affirmative defenses. The trial court also granted LaSalle’s motion for summary judgment. Generally, the striking of pleadings is not favored....Florida Rules of Civil Procedure authorize a trial court sua sponte to strike a pleading which is “redundant, immaterial, impertinent or scandalous,” and, upon a party’s motion, a pleading which is sham....A trial court, however, should not strike a pleading sua sponte on the ground that it is legally insufficient, or because the party subsequently may not be able to prove his or her allegations. In January 2006, the car was stolen while in a garage for mechanical work. The plaintiff-appellee insured retained counsel and submitted a claim to the defendant-appellant insurer. The insurer offered to pay $39,587 based on a valuation by Auto-Source, while the owner claimed a value of $65,000 to $75,000 based on an appraisal by Speed Shop. The insurer objected that Speed Shop was not qualified to appraise the value of the stolen vehicle. In June 2006, Travelers demanded appraisal and appointed Luis Aucar as its appraiser. The insured failed to respond. Instead, in October 2006, the insured filed a suit against the insurer demanding payment of the claim. In order to be entitled to attorney’s fees, it must have been reasonably necessary for the insured to file a court action....“The purpose behind section 627.428 is plainly to place the insured or beneficiary in the place she would have been if the carrier had seasonably paid the claim or benefits without causing the payee to engage counsel and incur obligations for attorney’s fees.”...Where suit is filed without any necessity to do so, attorney’s fees under section 627.428 will be denied....If the insured is forced to file suit, and the insurer thereafter pays the award without the necessity of the trial court entering judgment, the confession of judgment doctrine applies. “This doctrine applies where the insurer has denied benefits the insured was entitled to, forcing the insured to file suit, resulting in the insurer’s change of heart and payment before judgment.”...In that circumstance, the insured is entitled to an award of attorney’s fees. With these principles in mind, we turn to the facts of the present case. The insurer argues that the insured filed suit prematurely. That point is well taken. In June 2006, the insurer demanded appraisal and appointed its appraiser. For the following five months, the insured failed to respond to the insurer’s letters in which the insurer attempted to move the appraisal process forward....The suit was premature. Once the insurer demanded appraisal, the insured was required to comply with the appraisal clause. Proceeding to court was not justified. If the insured believed that the insurer’s appraiser was not competent (where, as here, the appraisal clause required appointment of a competent appraiser), the issue must be raised promptly upon learning of the grounds for disqualification. The correct procedure would be first to make a written demand that the insurer replace the appraiser. If the insurer declines to do so, then the insured must promptly file a complaint in circuit court seeking removal of the appraiser. In this case, the insurer disclosed the identity of its appraiser in June of 2006. It is clear that the insured learned of the ground for disqualification early on, but the insured’s complaint did not seek disqualification and the insured did not raise the issue by motion until 2008. The insured was not entitled to attorney’s fees for this phase of the trial court proceedings. In June 2008, the insured filed a motion to enter judgment in accordance with the appraisal award. The insurer contends that this was unnecessary and that the insured is not entitled to any attorney’s fees at all. The insurer’s argument is without merit. The appraisal award was entered in April of 2008. The insurer failed to pay. In June, after almost three months had expired, the insured filed its motion to enter judgment in accordance with the award. It was entirely reasonable for the insured to file this motion after the insurer not only failed to pay the award, but also failed to pay its half of the umpire’s fee. Six weeks after the insured filed the motion, but before the motion was ruled on, the insurer paid the principal amount of the award. Even later the insurer paid the interest it calculated to be due. The insured acted entirely reasonably in seeking court enforcement of the award and is entitled to attorney’s fees for that phase of the litigation. In this case it was clear that the loss would be covered by the insurance policy and the insured would achieve a recovery. The question was whether the insured could obtain the amount of compensation he sought on the basis that the stolen vehicle was a unique collectible car....In considering the issue now before us, the First District has held that 1.0 is the correct multiplier. The First District reasoned that “[a]though there was some question as to the amount that would be recovered by [the insured] under the insurance policy, there was no question that there would be a recovery of damages.” Reliance Ins. Co. v. Harris, 503 So. 2d 1321, 1323 (Fla. 1st DCA 1987). That logic is applicable here. The multiplier must be eliminated. Other posts relating to cases discussing appraisal and/or fees are available at the links. In this case, it was improper for the trial court to interject itself into the trial below by making evidentiary objections during the course of Ramos and Murphy's case-in chief, and to thereafter determine that the evidence of damages was insufficient to support the entry of a damage award. Accordingly, the trial court's dismissal order is reversed and this matter remanded with instructions that a new trial be held before a different judge on the issue of damages. In Florida Hurricane Protection and Awning, Inc. v. Pastina (4D08-4641), a divided en banc Fourth District issued an opinion of the reciprocal application of section 57.105(7), Florida Statutes (2008). The majority opinion was written by Judge May who was joined by Chief Judge Gross, Judge Warner, Judge Damoorgian, Judge Gerber and Judge Levine. Judge Taylor wrote a dissent and was joined by Judge Farmer, Judge Stevenson, Judge Hazouri, and Judge Ciklin. Judge Farmer wrote a dissent and was joined by Judge Hazouri. Judge Polen was recused. The contractor failed to complete the installation, forcing the homeowner to hire a replacement contractor to finish the job. She then filed a complaint against the contractor for breach of contract. She sought damages for the cost to complete the work and consequential damages for replacement of a window and frame damaged during a later hurricane. She also requested attorney’s fees. The homeowner prevailed on her breach of contract claim. She then moved for attorney’s fees. Her motion asserted that she was reciprocally entitled to attorney’s fees based on the fee provision in the contract. The contractor opposed the request for fees. It argued the fee provision was narrow, was triggered only in a collection action, and was inapplicable to any other type of dispute between the parties. The contractor relied on our opinion in Subway. Simply put, the statute means what it says and says what it means; nothing more, nothing less. Our court and others have consistently read the statute in the same way. Our latest pronouncement can be found in Subway Restaurants, Inc. v. Thomas, 860 So. 2d 462 (Fla. 4th DCA 2003). There, Subway filed a breach of contract suit against its franchisee. The franchisee correspondingly filed suit against Subway for wrongful eviction, violation of civil rights, and breach of contract under the lease and franchise agreement. The franchisee requested attorney’s fees. The franchisee prevailed. Following an appeal, the franchisee sought attorney’s fees, relying on a provision of the contract that provided for fees for collection “on any part of said rental that may be collected by suit . . . .” Id. at 463. The trial court awarded fees based upon section 57.105(6), Florida Statutes, the predecessor of section 57.105(7). We reversed. Because the franchisee’s claim was for wrongful eviction and breach of contract, it “never triggered Subway’s limited entitlement to attorney’s fees.” Id. at 464. Similarly, here the contract provided fees for the contractor in the event of a collection action. Section 57.105(7) requires reciprocity. Reciprocity would allow for the homeowner to receive fees if she prevailed in a collection action brought by the contractor. That is mutuality; that is reciprocity. To rule otherwise would be tantamount to re-writing the contract between the parties. This we will not do. In U.S. Bank v. Bjeljac (5D09-2809), the Fifth District held that the trial court did not error when refusing to cancel a foreclosure sale, however, reversed the trial court's denial of the appellant's motion to set aside the foreclosure sale. A prior appeal in the same case was discussed HERE. U.S. Bank’s motion to cancel and reset the foreclosure sale alleged only that it “requests that the foreclosure sale . . . be cancelled and reset.” The trial court denied the motion, finding that it set forth no basis on which the court could intelligently exercise its discretion. Florida Rule of Civil Procedure 1.100(b) requires that motions “state with particularity the grounds therefor . . . .” U.S. Bank’s motion failed to satisfy this basic requirement. U.S. Bank next contends that the trial court erred in failing to set aside the foreclosure sale and vacate the certificate of title because the bid price was inadequate and it mistakenly failed to send a representative to the sale....The third party purchasers concede that the price they paid for the foreclosed property was grossly inadequate. Consequently, we need only determine if the inadequacy resulted from some mistake, fraud or other irregularity in the sale. Section 45.031(8), Florida Statutes (2009), provides that objections based on the amount of the bid may be filed within ten days after the clerk files a certificate of sale, and “[i]f timely objections to the bid are served, the objections shall be heard by the court.” (Emphasis added). We believe the question of whether U.S. Bank’s failure to have a representative present at the sale was the result of a mistake is inherently a factual question that requires a hearing before the court. Section 57.011 was first enacted in 1828, well before the enactment of even the earliest Florida constitution containing a provision for access to the courts. Art I, § 9, Fla. Const. (1838). The practical reason for such a statute is to obtain security for a suit being prosecuted by a nonresident plaintiff. Further, section 57.011 does not set a condition precedent to filing a cause of action. Only the defendant may invoke its provisions. A defendant may also not opt for dismissal of the claim and instead rely on the alternative provided of looking to the plaintiff’s attorney to cover the cost amount. Petitioners seek second-tier certiorari review of a decision of the circuit court sitting in its appellate capacity affirming a county court’s order dismissing approximately 1500 non-resident plaintiffs from a county court suit, because none of the plaintiffs posted the $100 bond for defense costs in accordance with section 57.011, Florida Statutes. We deny the petition as we conclude that we do not have jurisdiction under these facts. The foregoing explains why we cannot say that the circuit court departed from the essential requirements of law or violated clearly established principles of law. Even the supreme court decisions appear to diverge when analyzing minimal fees or expenses involved in the litigation process. In a proper case brought to us on direct appeal, this issue would be ripe for our consideration. Our scope of review on second-tier certiorari is much narrower. Because there is no clearly established law to apply to this provision, we must decline jurisdiction. Petitioners make a compelling case for the merits of their position. In our constitution, access to the courts is one of the fundamental rights in the Declaration of Rights. Art. I, § 21, Fla. Const. (“The courts shall be open to every person for redress of any injury, and justice shall be administered without sale, denial or delay.”). It would be very easy to brush aside the requirements for second-tier certiorari jurisdiction to get to the merits of this action. But, we are constrained by the law and the limits of our jurisdiction. “There is a great temptation in a case like this one to announce a ‘miscarriage of justice’ simply to provide precedent where precedent is needed.” Stilson, 692 So. 2d at 983. That temptation also exists in this case, but we do not have the authority to succumb to that temptation and exercise jurisdiction. The contours of jurisdiction are not so malleable for us to vindicate the rights of petitioners. As Justice Cardozo stated, “Jurisdiction exists that rights may be maintained. Rights are not maintained that jurisdiction may exist.” Berkovitz v. Arbib & Houlberg, 130 N.E. 288, 291 (N.Y. 1921). I agree with Judge Cox’s well-reasoned dissent below that section 57.011, Florida Statutes (2009) is unconstitutional. An unconstitutional statute that barricades the courthouse to a group of indigent defendants is a violation of a “clearly established law” that results in a miscarriage of justice under Allstate Insurance Co. v. Kaklamanos, 843 So. 2d 885, 890 (Fla. 2003).